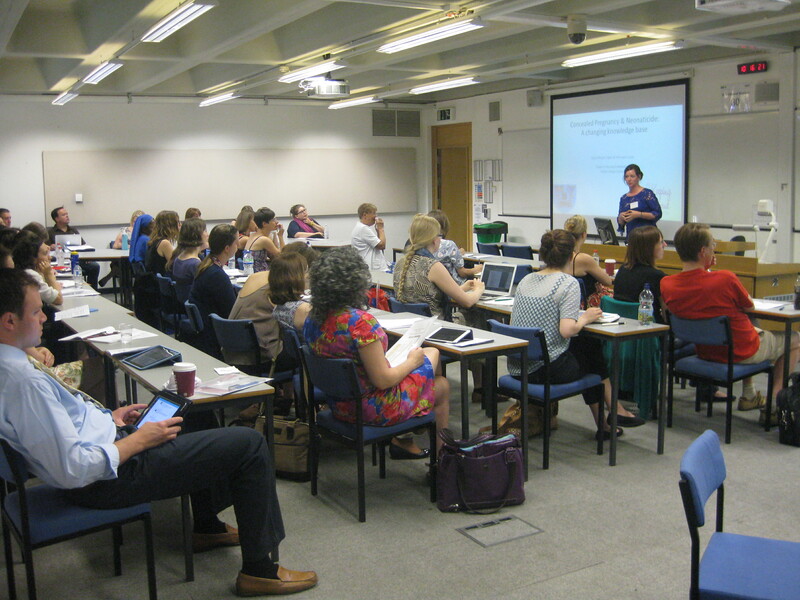 July 2014: The audience listens to Sylvia Murphy Tighe (Trinity College Dublin) outline the research from a project she is working on with Joan Lalor (Trinity College Dublin) on women in contemporary Ireland who conceal their pregnancy. The paper was one of two in a session on Infanticide and Neonaticide. She was joined by Julia Allison (University of Nottingham) who examined illegal pregnancy in Rural East Anglia). Welcome back, everybody. As many of you will know, 2014 was the year our network was established, created out of the very successful three-day Perceptions of Pregnancy conference in July. We have continued to grow in strength since, and we look forward to developing further in the year ahead. As we start in to 2015, we thought this was a good time to review the year that has just left us. In a small change to scheduling, we will now be posting every second Monday. 1. Gillian Kenny revealed that Abortion in Medieval Ireland was far less controversial than it has been in recent times. 3. Megan Webber cast light on midwives behaving badly in her post on Complaints Against Lying-In Charity Staff, c.1800-1834. 4. June Shannon shared her experience of Living with Infertility. 5. Chelsea Phillips introduced us to a leading Drury Lane actress who was pregnant in the middle of the season in 1785 in her post on Sarah Siddons and the Performance of Pregnancy. Our posts attracted a lot of attention over the year. It is unsurprising that Megan Webber’s piece on midwives behaving badly made it into the top five most read posts of 2014. Megan’s excellent piece came to the attention of the folks who run the social media account for the BBC television series, Call the Midwife, and they tweeted and linked to the post on their Facebook fan page, resulting in thousands of hits. In addition to countless re-tweets on twitter, re-posting on Facebook, and re-blogging of our posts, some of our contributions were also picked up by media outlets. 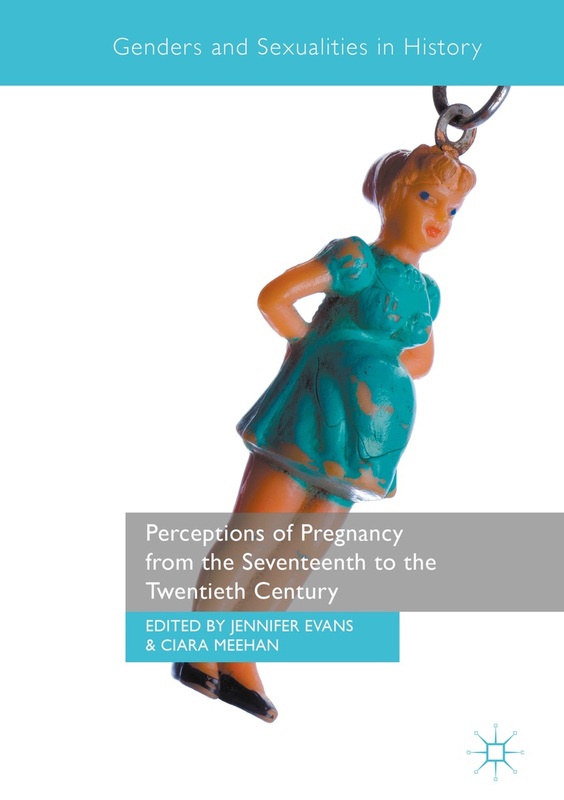 Our most read post of 2014 — Gillian Kenny on Medieval Abortion — was featured on the Broadsheet website, while Mary Rogan’s piece on pregnant women and prison policy was reproduced on the news-site TheJournal.ie. Co-founder and co-director, Ciara Meehan also had the opportunity to briefly discuss the network on Barbara Scully’s Hen House radio programme on Dublin South FM. Onwards and upwards for 2015!